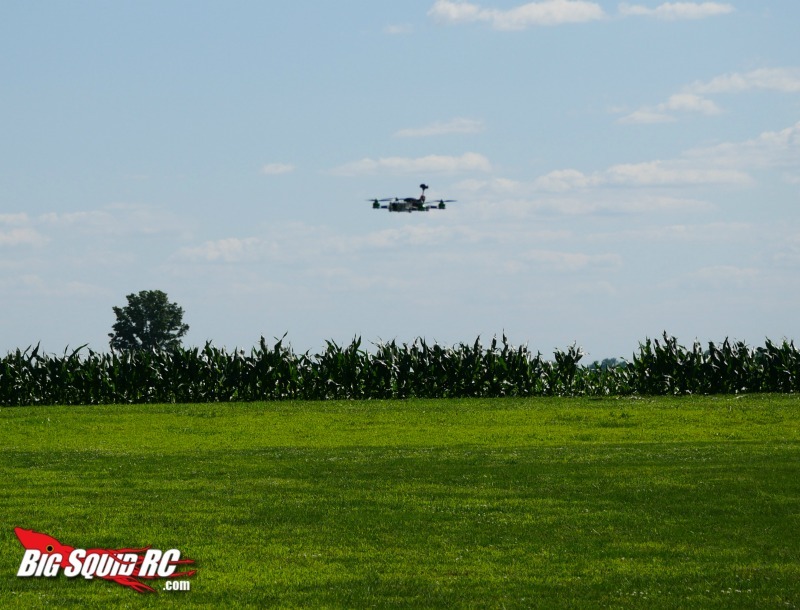 Riot 250r Pro Review « Big Squid RC – RC Car and Truck News, Reviews, Videos, and More! Intro: Hold onto your britches, ladies and gentleman, while I rip through the sky in a blaze of RGB lighted awesomeness. If you haven’t heard of the Riot before, then prepare to be impressed. 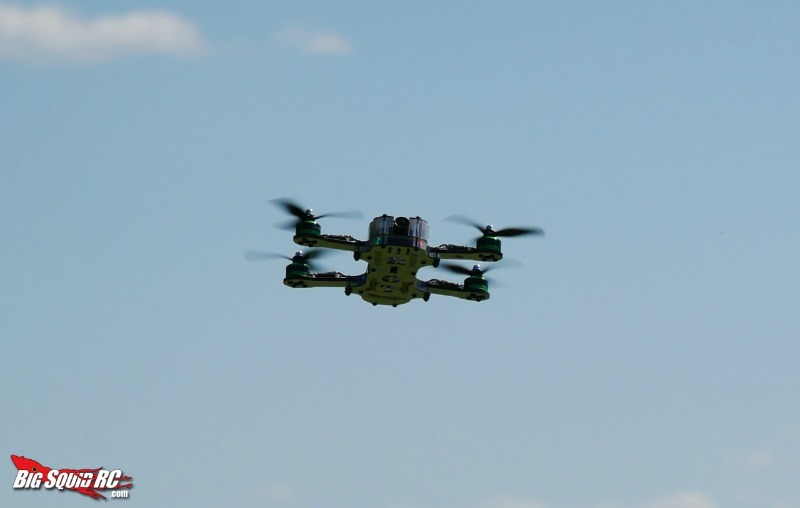 Flight Time (measured by BSRC): 2-5 minutes. I get 2 minutes if I’m tearing it up and 5 minutes if I’m cruising around slowly scoping out new areas. Needed To Complete: PPM, SBUS, or DSMX compatible receiver and transmitter, a 3-4s 1300mah battery with XT-60 connector, and a charger for the battery. 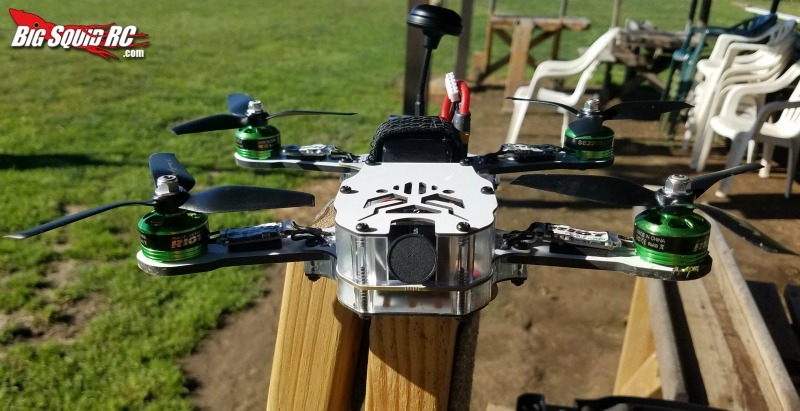 Build Quality: I love how this quad is set up. Everything is packed together nicely and the low center of gravity of the battery makes rolls and flips super smooth. I don’t get any bounce-back like I normally would have when doing hard flips or rolls. The thick arms and tightly packed farm makes the Riot very strong and well protected. Set-up Notes: I am a Spektrum flyer so all I had to do was plug in the receiver and soft mount it. After binding the receiver to my remote I had a little trouble setting it up on my transmitter so i found this neat video that Thrust put out. If you use Spektrum and need help setting up your Riot, you can check that video out here. 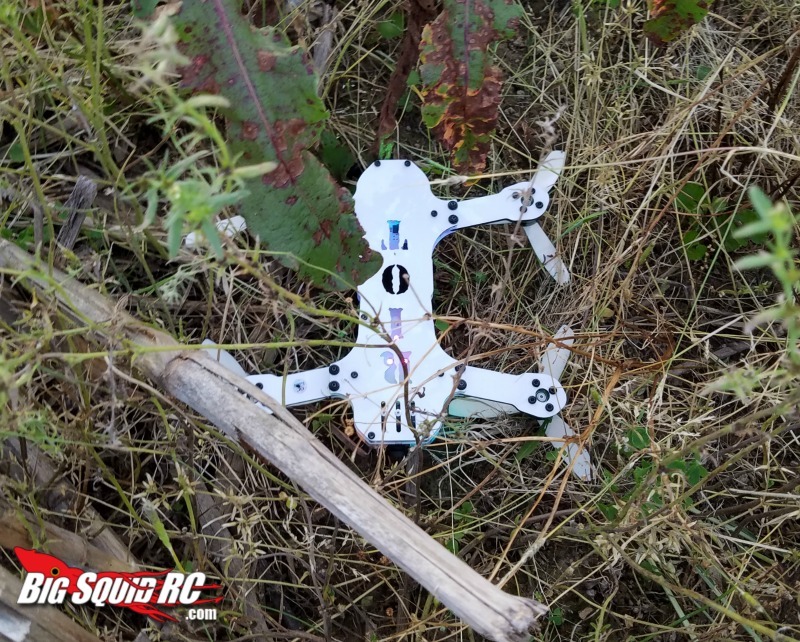 Always remember to keep your props off when setting up your quad. Maneuverability: This thing is on rails. I’ve never been in an official quad race, but now I want to give it a shot. 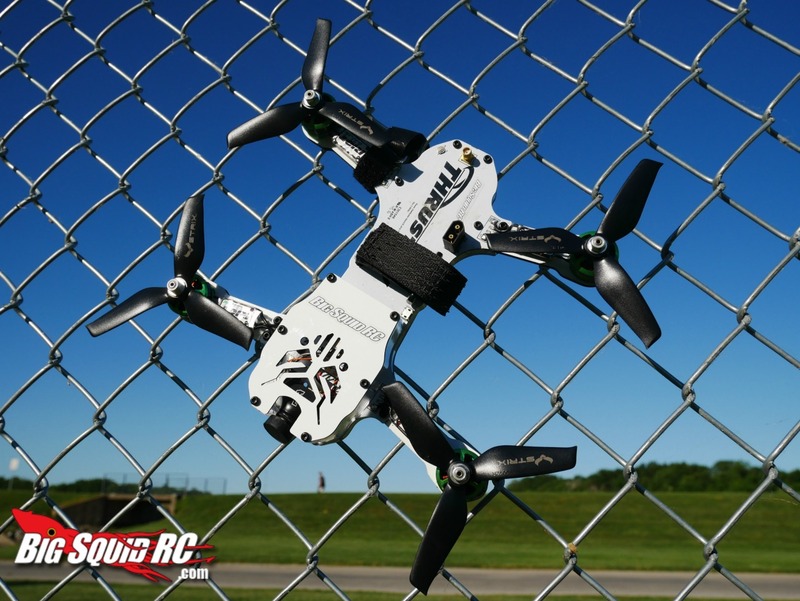 The Riot has an amazing power to weight ratio, not to mention that the weight of the battery sits low on the frame so you get very smooth and clean movements. 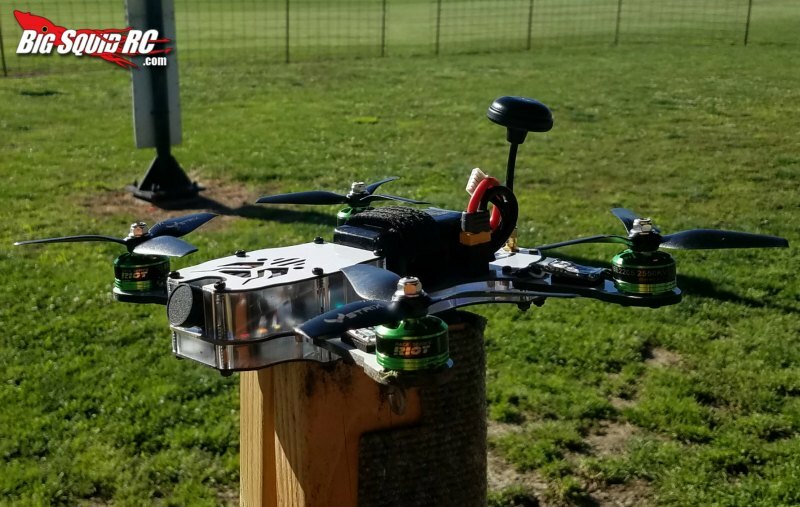 I was able to do maneuvers with the Riot that I was never able to do before with my other quads because of the low center of gravity. Let’s not forget that every Riot is Pro-tuned for racing. 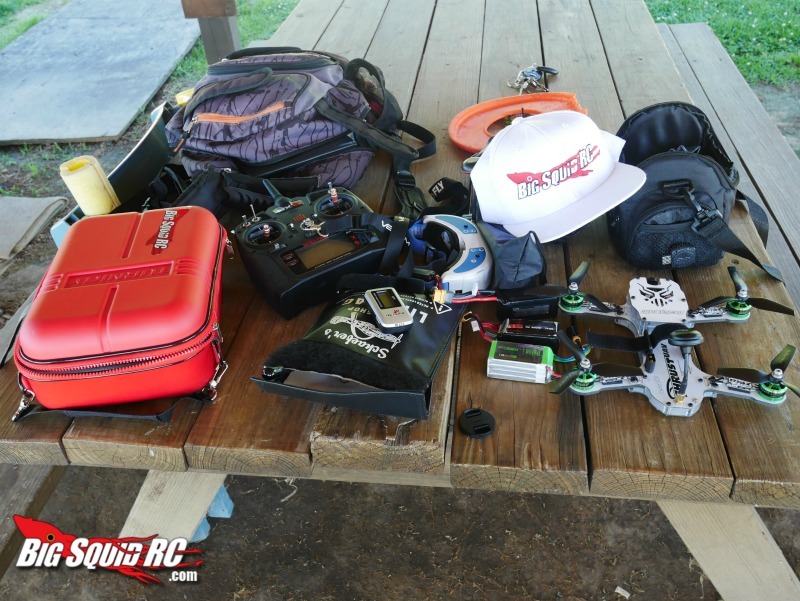 Bumps/Whoops: On my maiden voyage, I crashed. It seems like its almost a right of passage. To be fair, it wasn’t my fault. On my first full throttle punch-out into the field, I lost control and crashed into the field. I originally believed that the radio simply lost connection to the receiver. Later I realized that the stock props must have gotten stressed during shipping because the Riot simply went so fast that one of the prop arms blew off. Needless to say the rest of my testing was done with Strix 5×4.2×3 props. Stunts: If you are more of a stunt flyer, you are probably going to want to increase your expo. Stunts are easily preformed on the stock tune but they can be a little slow. I started out with a few flips and rolls and eventually wound up doing 50 yard power loops because why not. Rubix cubes are a little tricky because you will need a little extra altitude. Practicality: You will need room to fly. 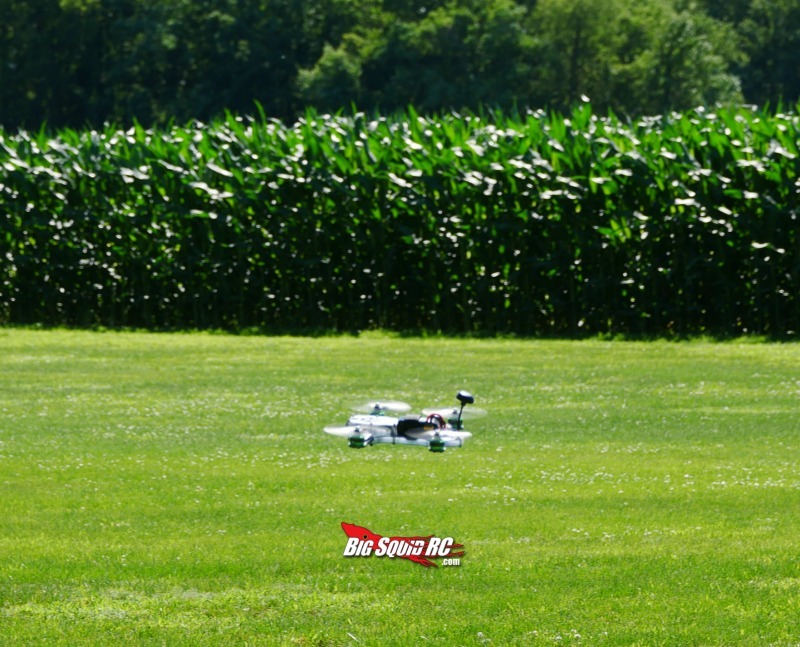 Most people don’t have the luxury of having a flying field in their back yard, like me. That being said you will probably be driving out to a flying field or some large area to fly because the average backyard just isn’t going to cut it. Power: I feel like He-Man when I’m behind the goggles with the Riot. If this quad is lacking in anything, it is definitely not power. 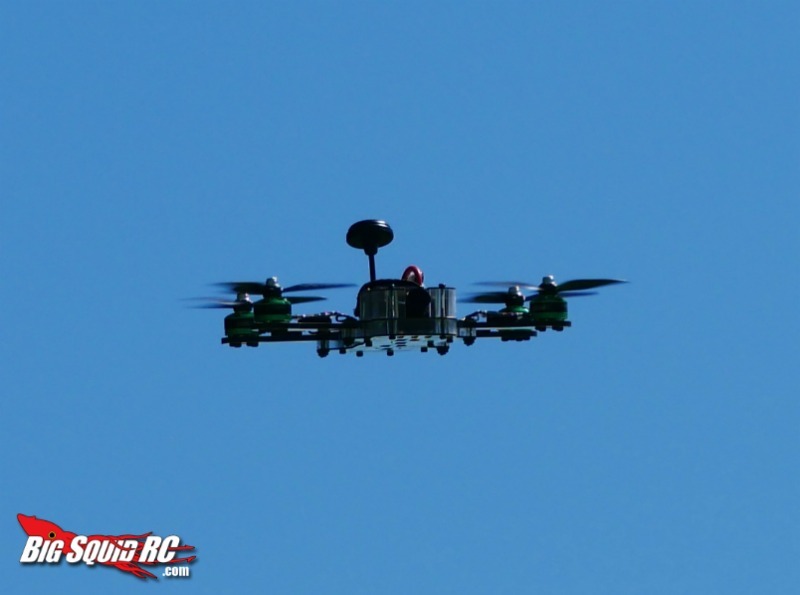 Radio: I used my Spektrum DX6 to test the Riot. Broken Parts: Just props. I personally didn’t break a single thing besides props. If you do need parts for your Riot, you can get them here or from your local hobby shop. Best Mod Under $5: Get a set of your favorite props. My favorite props are the Strix 5×4.2×3. Best Mod Over $5: Try out a LIHV battery. I have some from MaxAmps and I saw considerably less voltage drop while using them. You can check these batteries out here. Time To Bash: B It doesn’t take long to set-up if you use Spektrum but if you use Trannis or another brand, you will have to do a little soldering. Workability: B Though this quad it easy to work on, I do not like the T7 head on the screws. It’s just a personal preference thing. I would much rather use one of my nice hex tools rather than using the tool that they provide for you. Other than that it is pretty easy to wrench on. Quad Show Rating: A Obviously the Riot deserves a A in show rating because it looks awesome. From the white coating on the carbon fiber to the 52 RGB LED’s, it is sure to catch the eye of the other pilots at the field. If you’re in a race, there will be no mistake of who is winning. When I saw one of these Riots come into the shop, I knew I had to have one. Bash-A-Bility: A Just what you would suspect from a 250 size racer, it’s as strong as all get-out. I do recommend putting some single sided adhesive foam tape around the bottom to keep the screws from getting scratched up. I would also be super careful about flying over hard surfaces because you don’t want to ruin that sweet white gel coat on the carbon fiber. Fun Factor: A Nothing says fun like flying around in the cockpit of quad going 70+MPH. Seriously! Hairpin turns, flips, rolls, dives, power loops, everything feels so smooth and exhilarating. 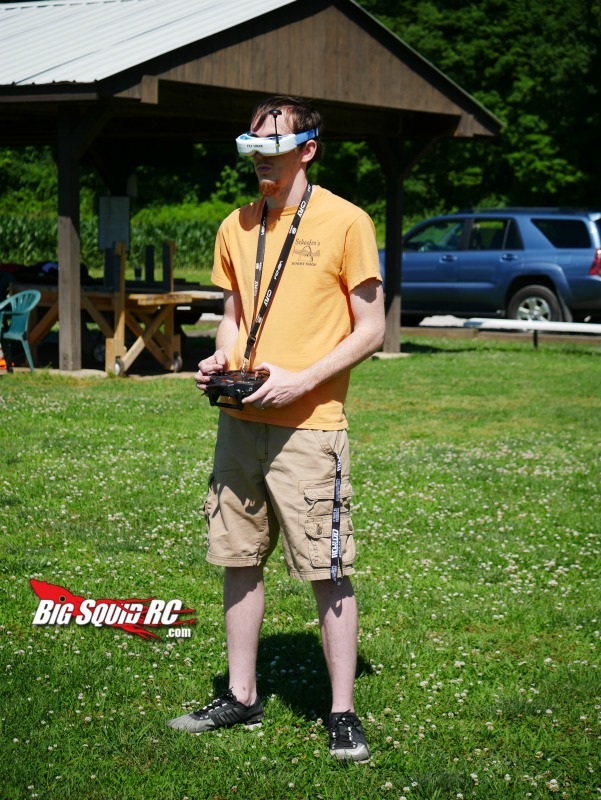 If you haven’t tried flying FPV before, you really need to. 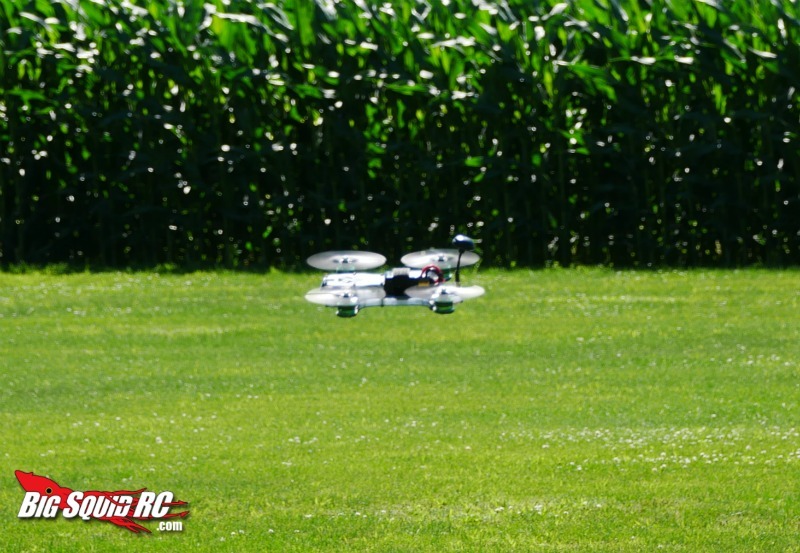 Handling: A Have a quad that feels like it doesn’t really do what you want it to on command? Try a Riot. It is very finely tuned and it has plenty of power. The power, in combination with the low center of gravity, allows it to perform and react exactly like you want it to. 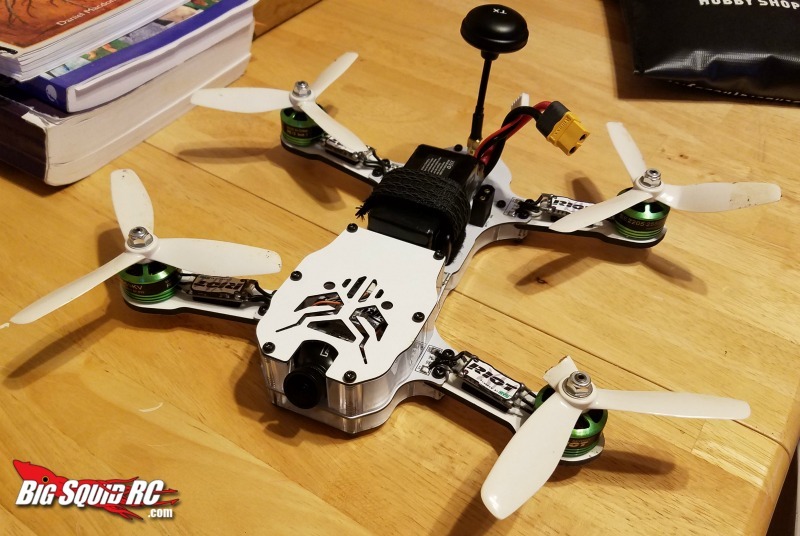 Value: A I’ve heard it a thousand times “I can build a quad for (insert lower price-point)”. I’m the type of person who is willing to spend a little extra to get a finely tuned product that is ready to go right out of the box. If something goes wrong with my Riot, I’m not going to be searching forums for hours trying to find someone with a similar issue that has a fix. All I have to do is email one of the super nice guys over at Thrust. 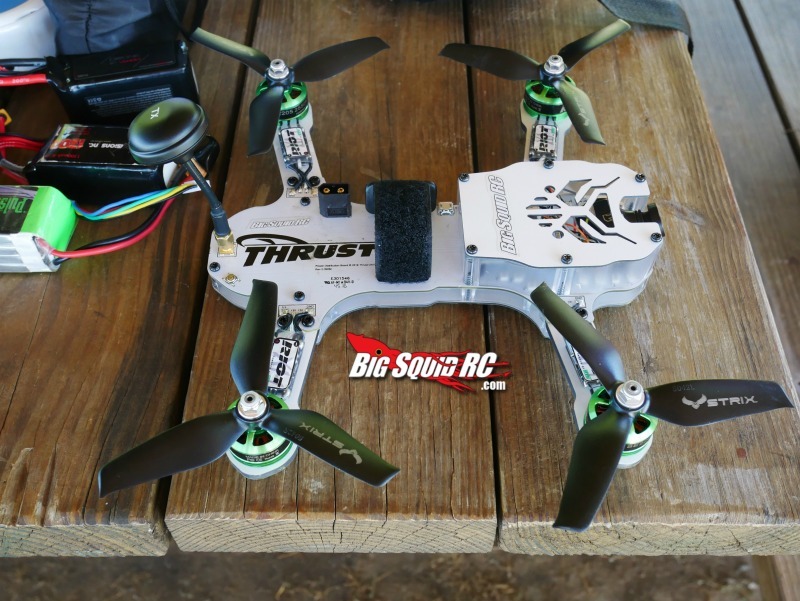 This quad is absolutely worth $499. Every penny of it. Parts Availability: B The parts are available. The only problem is most hobby shops don’t stock parts like the arms and the other carbon plates. 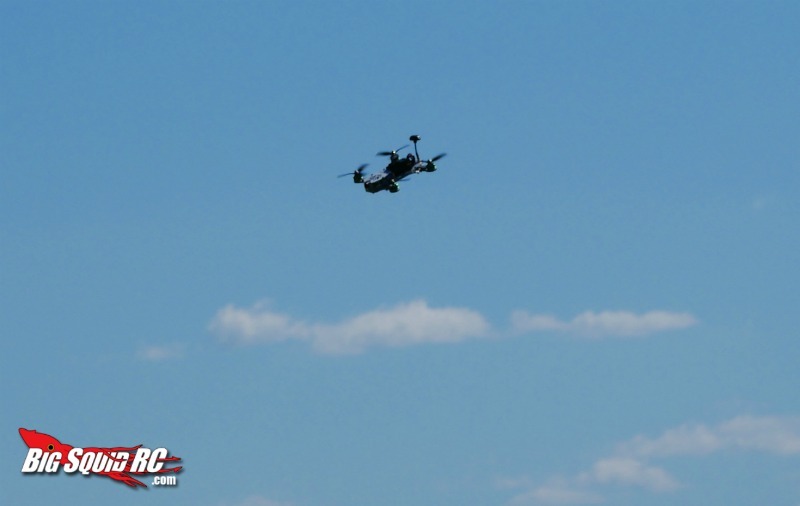 Cameras, antennas, and props are readily available in stores, considering these parts can be transferred from quad to quad. The rest of the parts will most likely have to be ordered, whether it be on your own or through a hobby shop. BigSquid Rating: A If this kid was in your class, you’d give him/her an A too. The Riot impressed me from the moment I opened the box and continued to impress long after I crashed it into the dirt. If you are like me, and like RTF/BNF/ARF quads, I would give the Riot a go.